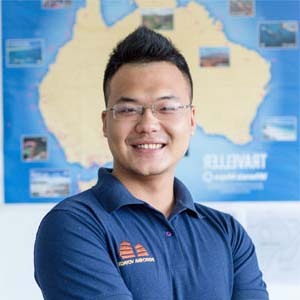 Traveling with your kids is always not an easy task and many people find it challenging to design a Vietnam family tour package. Your kids may get bored by a classic itinerary with so many museums, temples, pagodas, etc. I bet you wish you would find this blog sooner as with below suggestions, your work will be so much easier. A Vietnam family tour package 2019 will not be completed without an overnight cruise trip in Halong Bay. It is because such excursion offers many interesting activities that all family members will enjoy together. Most of the children are keen on exploring the beautiful outdoors. So you and your kids will have the chance to discover amazing caves with a Halong Bay overnight cruise. You will be surprised at how attentive your kids are when they are hearing how the cave was formed. Another fun part is kayaking. 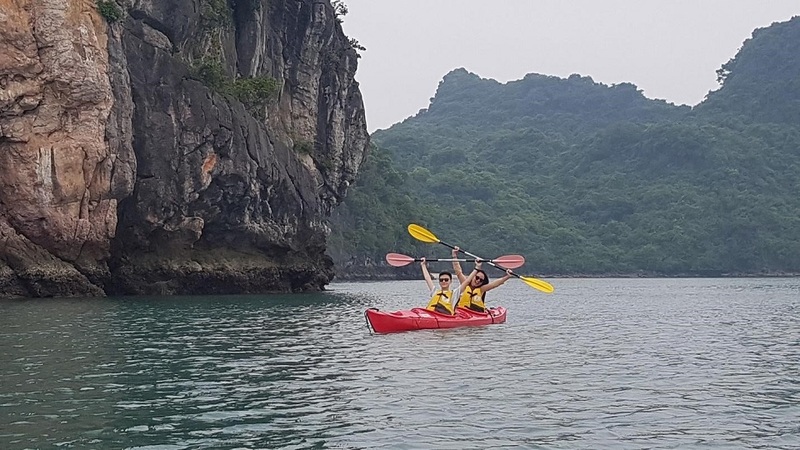 This activity is often voted as a highlight when your travel to Halong Bay that both the young and middle-aged people enjoy. If you are traveling in a big family with elderly, the boat often offer rowing boat ride as an alternative. When night falls, the family can just chat on the sundeck to enjoy the sky on the sea or try squid fishing. On the second morning, some boats offer a trip to a local floating fishing village and you may teach your kids how the pearl is naturally created. 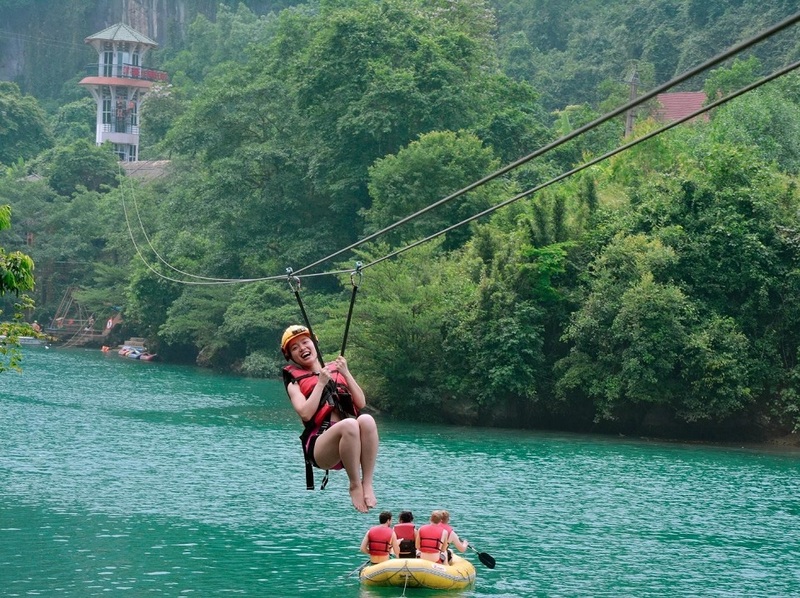 Another activity that can build up the great family holidays to Vietnam is zipline in Phong Nha Quang Binh. To reach Phong Nha from Hanoi, a short flight of 1 hour and 30 minutes is recommended. There is only 01 flight per day which is operated by Vietnam Airlines. If you like the idea of visiting Phong Nha, you better book a Vietnam tour package with airfare in advance, as soon as possible. For those who need to travel on a budget or in case, the flight is sold out, night train is the second choice. The train leaves from Hanoi in late evening and reaches Dong Hoi by next morning. Top popular attractions in Phong Nha are Phong Nha Cave, Paradise Cave, and Dark Cave. Among those mentioned places, your kids will definitely choose Dark Cave where an adventure 400 meter double-zip line have been opened since 2014. Your family will have so much fun with the mud bath and swimming. Photo opportunities are great too! 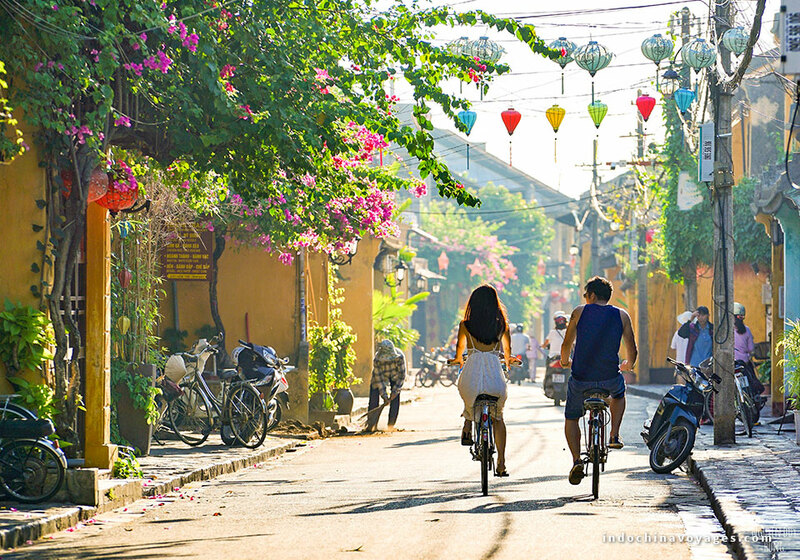 Let’s come to Hoi An next. This ancient town is my favorite place of all time. There is a very interesting experience for family – Cooking Class. 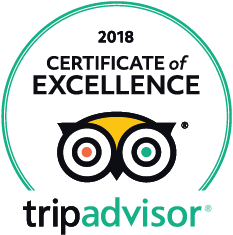 Red Bridge Cooking School is what you may find after countless research on Tripadvisor and this company will not let you down. The meeting point is at Hai Café in No. 98 Nguyen Thai Hoc Street. This place is located in the ancient town where cars are not allowed so you will have to find your own way there. If you are staying at nearby hotels, it is easy to just walk to the cafe. Else, all family members together bike there will be lovely too. Joining this class, you will have a chance to visit a busy local market, talk, and bargain with some local sellers as well as learn about unique ingredients that are often used in Vietnamese dishes. Your family will also have time for a short cruise on Hoi An River for approximately 25 minutes to reach Red Bridge Cooking School. This is a great opportunity to enjoy the local lives along the river. Attending 2 hours cooking class will bring your family a lot of beautiful memories. When back home, whenever missing Vietnam family holidays 2019, all members can prepare a Vietnamese meal together. It is such a nice gift to bring home! Updated price in November 2018, the seat in coach costs US$33 per person. Also, private class can be arranged upon request and with a surcharge. 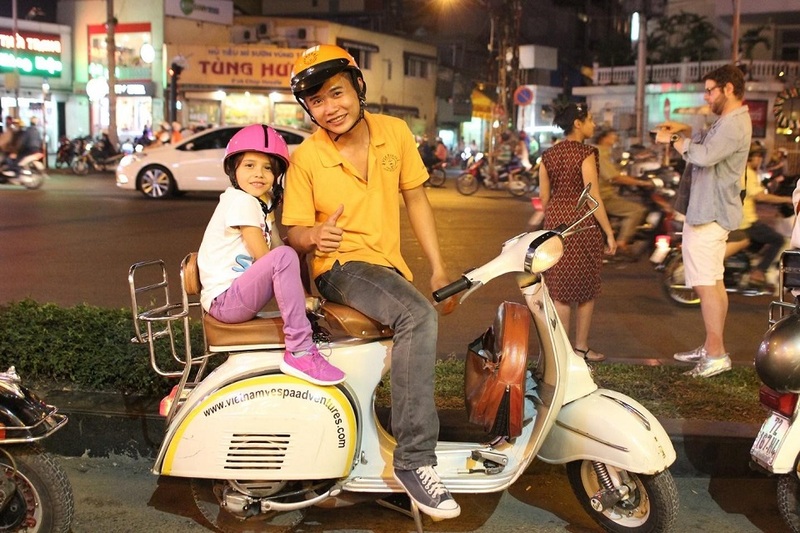 My last stop is Saigon and the picked activity is exploring Saigon at night on Motorbikes. Such a tour often starts around 18:00 then you can combine it with your classic city tour/Cu Chi tunnels tour or even Mekong Delta day tour. The best thing about this activity is that you will be taken to interesting places that normally other tourists do not know. This is the final stop where all the remaining money should be spent. Motorbike riders will bring you through China Town where you can do shopping at popular spots. After that, a light dinner with some unique local dishes will complete your night. This tour is safe and suitable for both elderly and children as. Your drivers are regularly trained and tested as safety is the 1st concern. If you have a small kid the he/she should with you. For children from 7 years old and above, he/she will need to ride with a local driver. The good news is the kids love this experience. 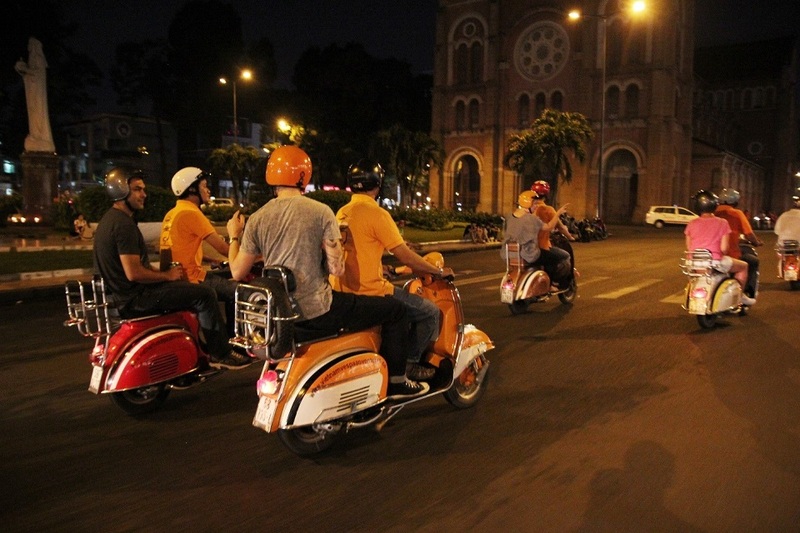 Based on your travel interests and budget, you can choose Saigon Vespa tour or normal motorbikes which are cheaper. For me, I chose normal motorbikes as it is considerably cheaper I want to be a part of local life. 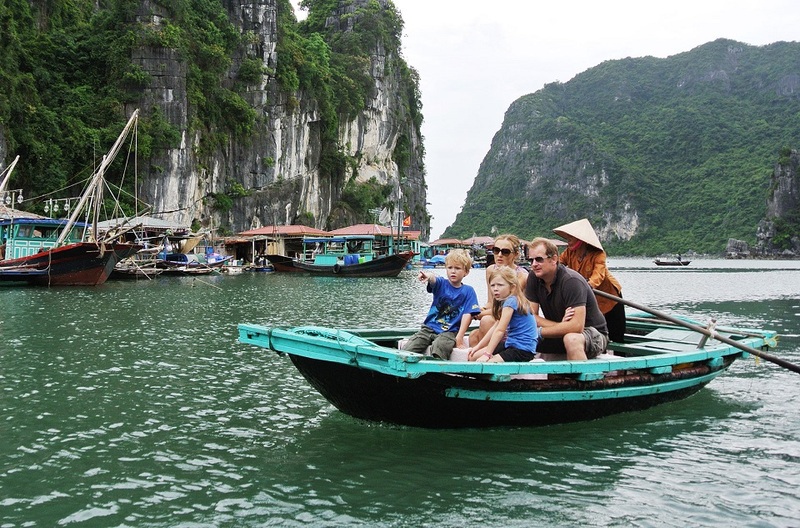 Now, anyone can plan a great, memorable and meaningful Vietnam family tour package. Traveling with your kids or your elderly parent can be fun and worry-free if you know about the above activities.